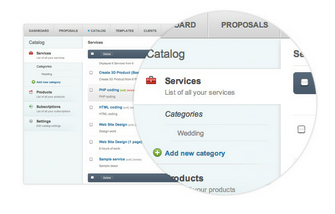 Ok, so you’re a web designer and you’re looking for the best and easiest way to send proposals to clients. Your primary focus is creativity and delivering quality work to customers. 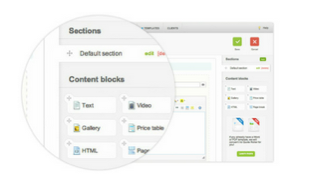 Quote Roller gives web and graphic designers a better way to present their design portfolio through proposals. You’ve earned the business, now it’s time to show your creative side by using a tool like Quote Roller to acquire more customers. Check web design proposal template created with Quote Roller you can use to get started generating winning sales quotes. As a creative professional, you strive to deliver quality through design. Quote Roller empowers businesses of almost any size by streamlining the most difficult part of your sales proposal process. By incorporating In-Proposal Analytics, Quote Roller allows you to know when your customer opened and reviewed your proposal. This will help you understand where your prospect spent more time within the proposal. With the ability to embed galleries, media and video into your proposal, your creative side will flourish allowing you to standout from the crowd. Keep track of outstanding proposals and win more customers with Quote Roller. How will Quote Roller help your design business? Rather than spending time creating, tracking and sending multiple proposals in Word, you can focus on giving your customers the best quality website or graphic design. Everyone knows time is money. With Quote Roller, you can embed a mock-up of your design, get it approved and electronically signed within minutes. With Quote Roller’s built-in E-Signature and In-Proposal Analytics, you’ll know when your customer viewed your proposal, how many times and when they accept it.